Jose Mourinho has warned Manchester United face a "difficult season" if they do not strengthen their squad before the Premier League transfer window shuts on Thursday. United's build-up to the new campaign has been dominated by Mourinho's clear frustration over transfers, which has brought his relationship with executive vice-chairman Ed Woodward into the spotlight. In sharp contrast, Champions League finalists Liverpool have spent more than �170 million ($220 million) on new signings including Brazil's World Cup goalkeeper Alisson and midfielders Fabinho and Naby Keita. 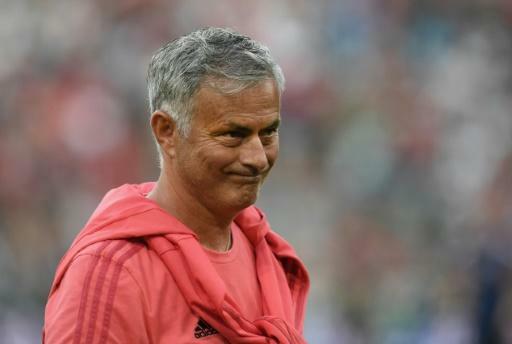 "My CEO knows what I want and I still have a few days to wait and see what happens," the Portuguese manager told MUTV ahead of his side's pre-season friendly defeat by Bayern Munich on Sunday. Mourinho, without some key players due to their involvement at the World Cup, including Paul Pogba, Romelu Lukaku and Jesse Lingard, brought on academy prospects James Garner, Axel Tuanzebe, Tahith Chong and Demetri Mitchell during the second half. At full-time, he compared his youthful team to the raft of talent at Bayern's disposal, including experienced players such as Robert Lewandowski and Arjen Robben. "Finally, it's over. Finally, such a difficult pre-season is over," Mourinho told mufc.com. "The players were, once more, brilliant. They could not have done better than what they did. (It was a) fantastic experience for the boys." Mourinho, who has been linked with moves for Tottenham defender Toby Alderweireld and Leicester centre-back Harry Maguire before the transfer window shuts, selected Alexis Sanchez as captain in Bavaria. Reports in Germany on Sunday said United have also expressed an interest in Bayern defender Jerome Boateng. Javi Martinez scored the only goal of the game in Munich, heading home from a second-half corner.